After many months of hard work, our first patterns are for sale on our website now. 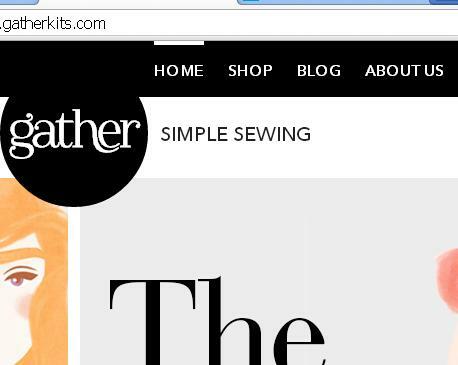 Our blog has moved over to www.gatherkits.com/blog so update your readers and follow us there! Ok, so socks are NOT a very original gift idea. A pair and a spare though? That's a brilliant idea. Makes you wonder why they're not all sold in threes! It appears we now live in a world where To Instagram is now a verb. If you know someone who's a fan of the dreamy, retro style shots (is there anyone who isn't?!) then this makes a great gift. Love the look of a mounted animal head on your wall but want a humane alternative? Look no further. We have Bucky the deer on our wall at home and it's always a conversation piece (not to mention a great place to hang some Christmas baubles!). A classic messenger bag for those on the go. This one's also on sale, quick! Some may say that scented candles are a teensy bit girly (not us!) but this one smells of bourbon and brown sugar. To be precise, Double Oaked Bourbon and Salted Brown Sugar Caramel. Very manly. Magazines for me are a real luxury and I don't think there's anything better than an unread magazine and an hour to yourself (that's a mother of two small children talking!). I've been given subscriptions as a present before and it was the gift that kept giving - quite literally, every month. You can get subscriptions to most of these but even one issue would make an amazing present. Since having children, Christmas has taken on a whole new meaning. There's slightly fewer festive cocktails and slightly more noise.... but shopping for presents is lots more fun! These lovely hand printed blocks are made from environmentally friendly rubber wood. There are masses of different faces and patterns to make so this might buy you an hour or two of peace while you get the turkey on. For those cosmopolitan children who've grown up drinking babyccinos! Their very own coffee machine so they can host their own coffee mornings. Teeny weeny cherry red DMs - possibly the cutest thing I've ever seen! For all those mini punks out there. Some great stocking fillers, albeit noisy ones. This pillow case is so perfect for those that can't sleep without their precious bear. A Christmas Gift Guide - day one, cosmetics. Remember when Christmas smellies meant a Body Shop basket with Dewberry scented bath salts? Well those days are long gone. We're now obsessing over luxe, grown up skincare and make up with extravagant packaging. This is my absolute favourite product at the moment and it's amazing value for money. It feels divine and makes my skin look smoother. All for under a tenner! These Chantecaille palettes are not cheap but HELLO? Wild horses! Coral Reefs! What's more, a percentage of the proceeds from each one go to specific conservation charities. So not only are you looking gorgeous but you're helping to save the planet. What's not to love. Giving soap at Christmas time is a given really but this one is so delicious you'll want to keep it. Tromborg is a brand new Danish make up and skincare line which uses organic essential oils and plant extracts. I love the sound of a Recover Mist, could be an essential for after the Christmas party…. This is my favourite and most Christmassy set from Butter London. It includes The Full Monty which is worth it for the name alone. All SORTS of exciting things have been happening behind the scenes at gather HQ (amongst others, a wedding proposal!) and both of us have been flat out with both gather and real life (work and children never seem to cut you a break when you most need it right?!). But, the website is nearly finished and everything has been sent to print! Within the next few weeks we should have large boxes turning up with all our packaging and patterns! It’s an exciting (and nerve-wracking) time to say the least… We’ve still got testing to do on the site but keep an eye out in the New Year and you should see the results of our hard work! If you want to keep updated and be among the first to see the new patterns, please do sign up to our newsletter (via the link on the right of this page). If, like me, you're a child of the 80s (actually the 70s but only just) you'll probably remember jellies! 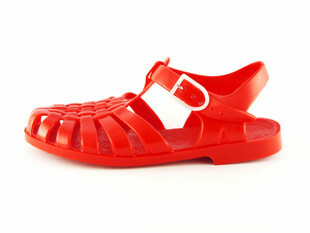 Those colourful plastic shoes that conjure up memories of holidays... Well, they're back. I couldn't resist and bought not only a pair for me in red but also a pair for my son in bright orange! They make a great alternative to crocs for kids (and are considerably cheaper too) and have the advantage of protecting those little feet in the sea or on stony beaches. What's not to love? It took me ages to pick a colour, ideally I'd have one of each! Which colour would you choose? We are gather - an independent, London based dressmaking kit company. Our first pattern will be launched in early Summer 2013. Our kits will pair beautiful fabrics and haberdashery with stylish, contemporary patterns. Welcome to our blog! This is where you can follow our journey as we start up our small business and keep up to date with how we are doing.